CEO Kei Dubb gives insight on her musical beginnings, her 3 year hiatus and what audiences can expect in 2018. Find out how she protects her energy on a daily basis. She also shares some wisdom for the upcoming generation. Described by her adoring public as jazzy, soulful, classy, dynamic and smooth, Kei Dubb is a refreshing artiste, whose sensual vocal sensibilities & charisma on stage and in her studio ... See More compositions has set her firmly on the path to distinction. So broad are her giftings as a Singer, Composer and Producer, that the word phenomenon quickly springs to mind. Kei‘s unique blend of Neo-Soul, Reggae and Pop genres, and her vocal licks, has her drawing comparisons to the likes of Sade, Janelle Monnae, Jill Scott, Tanya Stephens, Karen Smith and the legendary Nina Simone, with many listeners referring to her as a Reggae, Jazz, Soul & Pop music love child. Kei Dubb effortlessly fuses a myriad of genres and utilises vocal swings to create a style that is distinctly hers. Since deciding to professionally pursue music in 2009, Kei Dubb has made colossal strides toward her goal of being a leading creative force in her generation. More than just a Singer/Songwriter, Kei Dubb is also a former Dancer and Choreographer who has had much success in both arenas, making her artistic perspectives very diverse. 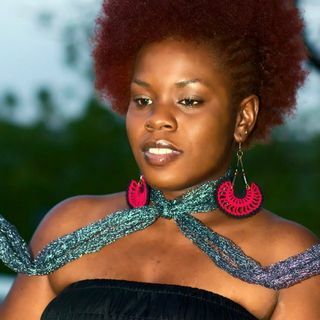 Since her 2009 debut, Kei Dubb has shared the stage with the likes of Raine Seville, Stratdon, Nickeishia Barnes, George Nooks, Pinchers, Desi Jones, Tanya Stephens and Beenie Man among others. The bilingual talent has also been working with international rising stars and has had her music featured on mixtapes, radio stations and blogs spanning the globe. Her 2013 Extended Play Project (EP) Dubb Play-It Volume 1: The Reggae Soul EP, has caught the ear of her Reggae loving Caribbean fans with tracks such as Beautiful and Let Love Take Over. However, it is her R&B/Soul inspired Hip Hop and Dance tracks that have her fans going crazy. Not only does Kei have an uncanny ability to ease creatively through genres, but her range is broad and she has a depth that reaches beyond her years – evident when she sings live. The recent release of live concert recordings on her official soundcloud and footage on her YouTube, have had fans talking and requesting a live album at some point in her career. Kei Dubb has recently returned to the studio to record more works with the Armour International outfit in Jamaica and promises work that reflects artistic and personal growth. She asserts that while no one knows the future, fans can look forward to new music, and new arrangements of old favourites reflecting new horizons. This young entertainer has a bright future and it will be an absolute thrill to watch her grow from strength to strength. ► Visit http://www.swap.com and use Promo Code: ASHSAID40 for 40% off!